Celebrated composer and performer Burt Bacharach, whose son is a student at the UO, visited campus this week and spent a day with students and faculty in the School of Music. Bacharach spent an hour talking with students in the Popular Songwriting class, took part in a faculty panel discussion and shared memories of working in New York’s famed Tin Pan Alley in the 1950s and 60s. He also took part in a songwriting workshop for a small group of students and alumni. Bacharach and his wife, Jane, were visiting their son on campus. Oliver Bacharach is a journalism major at the UO. 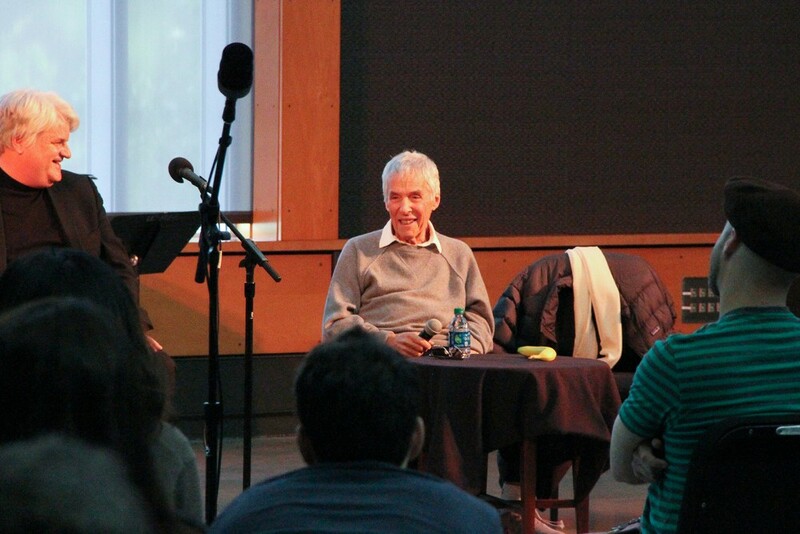 For a complete story, see “Burt Bacharach visits University of Oregon” on the School of Music and Dance website.